Published November 6, 2018 . 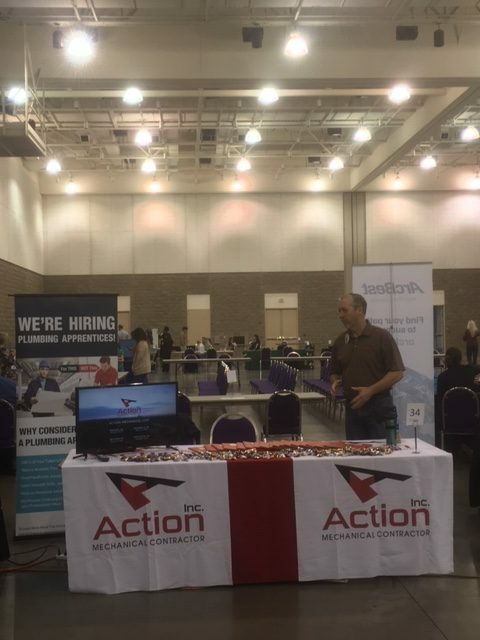 On October 30, 2018, Robin D’Onofrio and Allan Newell, from Action, Inc., joined forces with local professions to help approximately 1000 9th graders explore their post-graduation career choices. The iCan Career Expo was held at the Fort Smith Convention Center and focused on planting a “seed” or thought process of what the students are interested in and to help promote those interests into careers.